1 cave | This Blog Rules | Why go elsewhere? 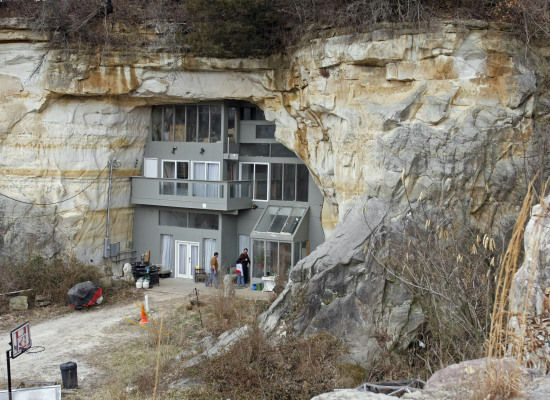 Talk about unusual home, family living in the cave! The Sleeper family, Curtis, Deborah, and their three kids are living in the cave, literally. It’s a 17,000 square foot gouge in the earth that dates back to a 1930s sandstone mine in Festus, Missouri. Measuring in at 45 feet underneath a forest, this unusual home has to be seen to be believed.